I love to write about anything and everything. I enjoy travel, and do so frequently, so sometimes I may be blogging from South Africa, sometimes from West Palm Beach in Florida. the possibilities are endless. I have close family and friends on three continents, I play the piano, go to gym, love to read and sometimes even find the time to watch TV. I have a son, a daughter and five gorgeous grandchildren, and I have been happily married to the same wonderful man for umpteen years. 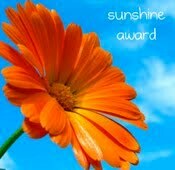 Just wanted to let you know I nominated you for the Sunshine award! I am awarding you the Versatile Blogger Award for the quality of your work. I realize that it is a tremendous amount of work to accept this award and of course do understand if you do not have the time to do so! Jejeje, it’s taken me months to getting around to accepting this myself! I love reading your posts and have nominated you for the ABC Award. The details are available at http://lifeisavacation.wordpress.com/2013/07/18/awesome-blog-content-award/. In case you do not accept awards, just acknowledge as an appreciation. Cool !! That was my way of appreciating. Take your time and respond whenever you feel so. Living the dream and leaving inspiration behind! You have a very pleasant blog. Please show some love to my new ‘Things To Rave About’ (http://toraveabout.com) which is just BBT at a new address. I love to travel too but I don’t get to it that often as you!I loved your images in the post meant for ‘The Sign Says’. I would love to pass the award on to you – http://wp.me/p293Pw-6gE – and it’s totally up to you what ever you want to do with it – keep it all to yourself or pass it no. No must from my part. My dear friend! You gave me the very first welcoming “like” when I entered WordPress and I still look forward to your paradise gravatar whenever it’s there! Thank you for welcoming me to the family – this award has to go to you! Always inspired by your blog, and have nominated you for a Very Inspiring Blogger Award 2013 – if you haven’t already got this one please see here: http://sarahryan85.wordpress.com/awards/ Wishing you all the best and happy travels! I’m looking for a badge to that effect, to put in my sidebar. You’re welcome. Heather., and thank you for commenting here. Thank you for discovering my blog http://www.throughharoldslens.com. Now I have discovered, explored and am Following your blog. Hope we both enjoy. Oh my, you do really get around ! Thanks for stopping by my Nova Scotia blog. Best wishes. I’m so way behind with catching up with my followers and likers, so sorry I didn’t visit sooner. I love your blog! Morning, Sylvia! Can you stop swinging in that hammock long enough to accept a Shine On award, do you think? Yes, I think so. 🙂 Thanks so much, Jo. Thanks for following my blog and right back at ya! Thanks for stopping by my Blok and liking post. Best wishes. Thnaks for stopping by my Blog and liking a post. Best wishes. Oh, Good Grief! I’m dizzy from the scroll down here! 🙂 I clicked on your Gravatar from my blog. It is linked to the Blog 24 site. There, I got interested in the artist from Africa. Then … I got all interested in the kitchen renovation and a bunch of other stuff here. I don’t know how I’ve missed all of these fascinating posts. I’ll be back to discover more soon! I love this blog. Thanks for jogging my old memory. All the best in 2013 to you and yours!! I’m just grateful you pop in. 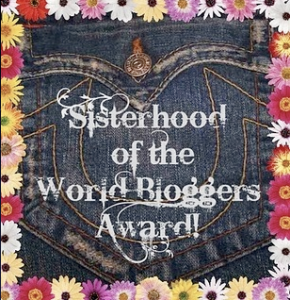 I have nominated you for the Liebster Blog award because I so thoroughly enjoy your blog. Please don’t feel any pressure for having to complete the qualifications for this award. I just really wanted to let you know how much I appreciate your blog! I just found your blog while reading Piglet in Portugal’s blog…reading your about me page…sounds like we have a lot in common. I look forward to reading more and getting to know you! Your family is fantastic and your blog too!! Happy to have found you!!! Kisses from Florence!!! Thanks so much. I didn’t get a pingback. How do you add this to your site AD! Help pls..tnx! yes going away for 6 months takes some organizing. Can I be nosy and ask where are you going? Hahaha. Love the greeting, pommepal. 🙂 Likewise,I’m sure. How sad is that? I always check my spam to make sure I don’t lose anyone. I’ve read about other people finding their friends in the spam box. Thanks for checking!!! I’m having difficulty in accessing your blog, David. 😦 Will keep trying. Guess that’s one of the positives of reaching the grandchildren age, the time to travel, enjoy doing all the things you never had time for previously and blog so that others can share the wonderful places you’ve been to and enjoy having contact with others around the world. Greetings from a Scotland that sliding from wet summer towards autumn. I have nominated you for few awards! You may or may not already have done this – it’s a photo challenge through TravelSupermarket.com due 8/29. I thought of you, although I know that’s not much time. My entry’s posted on my blog. you have a beautiful blog =) Greetings from Turkiye ! 3rdculturechildren, currently in La Paz, Bolivia. Thanks for stopping by my blog and for the follow, as well. I’m actually in Florida right now..so i need to delay my participation in ” 7 super shots” until I get back home…out doing “jungly” photo shoots…..THANKS FOR CHOOSING ME TO JOIN IN THE FUN!! Good luck! 🙂 You have a beautiful blog! I’m so happy to have found it….this is why I love blogging! To be inspired! You have a beautiful blog and I love this background photo…stunning! 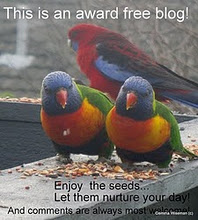 Congratulations, I’ve nominated you for a blogging award. If you choose to accept, here’s the link to what it’s all about: http://wp.me/pXX8J-1c8. 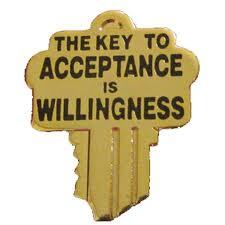 Absolutely no hard feelings if you choose to skip the acceptance… I just wanted to let you know I enjoy your blog. Hi, Another Day in Paradise. Welcome to the readers of diabeticredemption.com. I have a Friends page on my blog, where readers have shared info about themselves and their blogs. I invite you to do the same. Welcome! That would be just great. The photo was taken at Club Med, Bora Bora in French Polynesia. That is the Pacific Ocean in the background. There are good news for you. 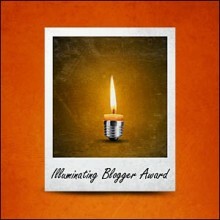 I have nominated you for Versatile Blogger Award. I hope you’re happy with this news. Because your blog gives me inspiration and new ideas. This award give us more creativity. Thanks for liking my West Side Story post and signing up! Enjoy! Thanks so much, BT. 😉 I have family living in Jakarta. Jogjakarta looks like such a beautiful place to live. I certainly get it! Even if you never get around to it, though, I hope this will draw some new visitors to your site – which I figure is the real reason for having these awards anyway! 🙂 Have a great day! Thanks for stopping in and the like! Likewise- umpteen years with the same guy, 3 kids, 3 grandkids. Grateful! We sound like kindred spirits, except I mostly stay in the US, we live on the west coast of Florida, in Port Charlotte; have two daughters, 3 granddaughters and the umpteen years guy of my life. Gotta love it! Awesome place! Have you also been there? I love the background picture of your blog. Such an awesome place, it would deserve a place for itself in your blog. I will also say great picture!!! It is one place I need to visit in the future, thanks for sharing this image with us, lovely!!! Greetings from Mexico 😉 you will need to come and visit priramids also, jejeje. I have been to Chichen Itza. I will blog some of my photos soon. 😉 Thanks for the visit.